Sweating can interfere with a person’s life tremendously. This is setting aside the fact that people sweat due to exerting energy when exercising, playing sports, etc. There are people who don’t need to do anything in order to sweat. They can just simply sit or stand without doing much and still break a sweat. Of course, there are underlining factors in this kind of case. Some people get sweaty, or clammy hands. This type of sweat problem can be embarrassing, especially when out on a date. It can also interfere greatly with work or performing daily chores around the house. There are hand wipes that contain alcohol or are alcohol-free with Vitamin E. Hand wipes help moisturize your skin positively and may resolve a mild case of sweaty hands. Try alcohol-free hand wipes first. Use them as needed, but not excessively. If those don’t work, then try hand wipes that contain alcohol. Alcohol cools and soothes skin immediately upon being applied to the skin. Sweat generally cools down skin. But when alcohol wipes come along, the sweat will be countered and your hands will become dry in your favor. While botox may help with excessive armpit and facial sweating, it may very well resolve sweaty hands. The procedure will involve the hands being injected directly. Consequentially, the ingredients will prevent the nervous system from communicating with the sweat glands. Talk to a doctor first for counsel and more information regarding this method. One thing’s certain; Botox treatment may be ongoing. You may have to report to the doctor who administers botox twice a year to maintain the after-effect. A good alternative to Botox, which is far more expensive. Get a physical exam done first to help determine the root of the problem of your sweaty hands. The doctor can recommend certain medication that will trigger the nervous system and prevent it from reaching the sweat glands. Sweaty hands can be related to nervousness, stress, and/or anxiety. Consider seeing a therapist for counseling. They are trained to help resolve these sort of things. 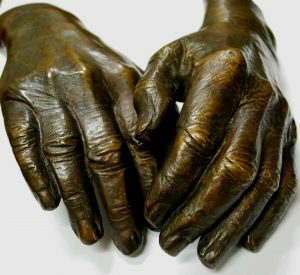 Tell your therapist everything that they can use to suppress any psychological problem you may have and, perhaps, solve your sweaty hands issue. When taking medication of any kind, be sure to follow the directions that are printed on the label of the container. Take as instructed. Don’t overdose, or you’ll have more problems on your sweaty hands! Sweating is natural. Although it may be embarrassing, sweating is inevitable for the most part. You can stand still out in the sun and still sweat. Underarm sweat is more than likely to occur first, followed by facial sweat. Whether you’re bald or have long hair, you’ll have facial sweat. Like your underarms, the dome of your head and face have pores which need to breathe. There are people whose faces sweat excessively. Lets see what can be done to get rid of excessive face sweat. As the body perspires, it cools down. Wash your face once or twice daily with cold water. This will help reduce the need for the pores on your head to secrete sweat. Have a cloth on-hand and gently wipe off any sweat as you go about your day. As much as it may be embarrassing, it’s even more embarrassing to wear excessive face sweat. Not regular face/hand wipes, but wipes that contain aluminum chlorohydrate (an ingredient that’s in deodorant) may help wth excessive face sweat. Try Maxim Sensitive Wipes. There’s also deodorant which can be applied onto the face. Consult with a doctor first for advice and more information on this. It’s said that botox helps with abnormal armpit sweating by blocking the nerve system from sending signals to the sweat glands. As a result, sweat secretion comes to a halt or gets reduced significantly. Consult with a doctor first before taking this route. Ever seen cartoons where characters become nervous, stressed, or frightened and they sweat? Nervousness and stress can, indeed, be linked to excessive face sweat. A therapist would be your best bet in reducing nervousness and stress. In addition to these tips, exercising regularly (3-5 times a week) may help with excessive face sweat. Exercising helps regulate pores and promotes overall good health. Excessive face sweat may also be linked to a health condition. Seek medical counsel if all of these tips don’t work to escalate the issue. There are some things in this world that may embarrass us. Things such as pimples on the forehead, big red blemishes on one cheek, and warts are just to name a few. Joining the gang is armpit sweat. Sweating is natural when exerting energy while exercising, working outdoors, or being involved in outdoor activities such as volleyball or playing in a park. People can also sweat easily due to hot climate or simply being out in the sun. For others, it can be a medical issue. There are things which can be done to get rid of armpit sweat. Possibly the quickest and most easiest method of resolving an armpit sweat issue is wearing looser clothing. The skin has pores which need to breathe, just like how we breathe through our mouths and noses. The tighter the clothing, the less of an opening pores have to breathe. Buy looser clothing if you don’t have any in your wardrobe. It doesn’t have to be baggy loose, but rather slightly loose at least. Be sure that the material is cotton. Deodorant technology has come such a long way that there’s even more of a variety of deodorant available today. Ensure that the deodorant you usually buy and use is composed of at least 12% aluminum chlorohydrate. If it’s not, then look into another brand that is composed of at least 12% aluminum chlorohydrate. And if the new deodorant doesn’t solve your armpit sweat problem, then get a deodorant that has a higher concentration of aluminum chlorohydrate (greater than 12%). It’s said that baking soda, or sodium bicarbonate, can be utilized as deodorant. Apply a small amount of water to a powder-puff or a small brush and dip into a bowl of corn starch. Apply the corn starch to your armpits, followed by a powder-puff worth of baking soda. You can still use your aluminum chlorohydrate-based deodorant in conjunction with this method. Armpit sweat can be very embarrassing when in public. With these tips, you’ll get rid of armpit sweat in no time. In addition to the tips listed above, stress can trigger armpit sweat. Try and reduce stress to avoid sweating under the pits. If none of the tips help, then your case may be a bit more sever. Consult with a doctor immediately. It’s difficult for women to shop for the right kind of shoes, dresses, accessories, handbags, or jewelry. As women go to work regularly, they may be harassed on the way and even while working. There may be something else that’s more worse than the aforementioned feminine woes. Once a month, a woman goes through their menstrual cycle, or “period.” It’s a natural bodily process that alters the uterus and affects the ovary. This is for the sole purpose of sexual reproduction. Normally, menstruation is accompanied by painful cramps. They can be mild to strong. The below tips may help get rid of even the sharpest menstrual cramps. A heating pad is commonly used to temporarily relieve any kind of bodily pain caused by inflammation, injuries, etc. It will serve just as well with menstrual cramps. A plug-in heating pad with temperature control is best. Lay down on a couch or bed with stomach facing up and apply the heating pad to it for 15-20 minutes with the product plugged in. Toggle the button to set the appropriate heat level. This is a perfect opportunity to close your eyes and rest. Set an alarm for 17 minutes to avoid over-resting. Using a heating pad for an extensive period of time may end up doing more harm than good. For more of a lengthier solution, try over-the-counter pain relievers. You have many at your disposal. Tylenol, Motrin, and Aleve are just to name a few. Ensure that the over-the-counter pain medication of your choosing is an NSAID (Non-Steroidal Anti-Inflammatory Drug). Do stretching exercises that involve the abdomen and back. Stretching the abdomen and back may provide some comfort and relief for whenever cramps arise. Performing regular exercises such as running, swimming, or cycling would resolve cramps as well. Water is a vital component in everyone’s daily lives. It regulates bodily functions. Drink the normal recommended amount of 8 cups of water a day. Hot chamomille tea may help soothe menstrual cramps by relaxing your body. Chamomille provides overall comfort and tastes great! While menstrual cramps may be intolerable at first and interfere with a woman’s day, the handful of tips above will help get rid of those cramps. Body irritants, or things your body catches that physically protrude from the skin, can greatly interfere with ones beauty or appearance. Some of these irritants just can’t be disguised with enough makeup because they’re too large in size or have dark coloration. Other irritants start from one area and multiply on other parts of your body. Any part of your body is capable of being “irritated.” A stye is a perfect example of this. It’s a red bump that normally forms on the upper/lower exterior or interior of the eyelid. 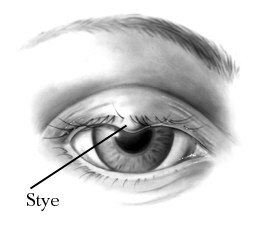 Although a stye resembles much like a imple, it can potentially become a greater issue. Get rid of that stye with the following tips. The best and possibly the quickest route to take is see an ophthalmologist. One visit to the eye doctor would result in an antibiotic which will make the stye disappear not instantly, but within a considerably short period of time. Surgery may be required, depending on the severity of the stye. If you’ve tried antibiotics and/or witness any complications along with the stye and the stye itself, then you may need to take the surgical aproach. Consult your eye doctor for further instructions and guidance on this matter. A warm compress may help reduce any swelling and pain that would accompany a stye. Apply a warm compress to the stye 5 times a day for approximately 15 minutes each time. Not treating the stye at all, whether it be through self-care or professional medical care, would give you a few days to a week until it’s gone. 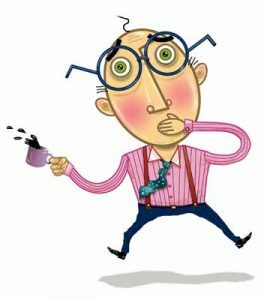 In the meantime, don’t ever touch the stye, To prevent yourself from getting a stye or two, wash your hands and face thoroughly on a daily basis. Styes may be contagious, so be courteous to others. Also, keep cosmetic supplies clean and concealed (eyeliner, eyelash curler, makeup, etc). Do not share cosmetic supplies with others. Dispose of any cosmetics that are expired or contaminated in any way. This includes ones that are dirty. Lastly, discontinue the use of contact lenses. Styes may infect them. Putting on infected contact lenses would result in further troubles. As you go about your daily life, so do things that can damage you cosmetically. The things that are being referred to here are pimples, warts, blemishes, tumors, and the like. For you to regain your original beauty, these things must be handled with consistent appropriate care and patience. Same principle applies to a black eye. Of course, a black eye’s different from the rest of those unwanted body irritants. For one thing, a black eye is luckily not contagious. However, it could remain on your face for awhile if not treated properly. Below are tips on how to get rid of that black eye. As soon as you get a black eye, apply an ice pack or zip-lock bag filled with ice (cubed or crushed). Simply place carefully onto the affected area. Don’t put any pressure on the black eye. Icing it will help reduce some pain and swelling, as well as prevent blood from filling the affected area. The more blood that fills the area below the eye, the more “black” it becomes. Apply ice periodically throughout the day for a full 48 hours. Avoid blowing your nose while the black eye is still existent, even if it has diminished tremendously. Blowing your nose with a black eye would result in pain and possibly an eye infection. Before you go into rest, nap, or sleep mode, ensure that your head is elevated properly. Two pillows should suffice. Proper elevation of the head would allow blood flow to all parts of your body instead of just one. Don’t take any drug that will thin your blood. Try not to rely on any medication. If anything then take acetaminophen for pain relief, not Tylenol or Aspirin. Other than that, ice, don’t blow the nose, and elevate your head whenever you lie down. Technology has come a long way in making people’s lives more convenient and comfortable. For one thing, the form of accessing information has changed drastically. We went from a classic gargantuan computer monitor and processor with a floppy disk drive to hand-held flat 10 in. computers. A prime example of such a device is the notorious and successful iPad. 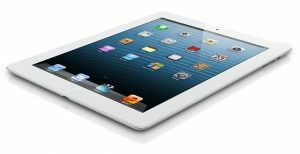 Just like with a regular full-sized computer, personal data is stored into an iPad as you use it normally. This may pose as an issue, especially when the device is shared amongst friends and/or family. Below are indicated instructions (in chronological order) on how to erase personal data to preserve your safety. Before going right into giving your iPad a clean slate, you may want to back-up any photos, videos, and other items that may be stored on your iPad. You can do this by opening iTunes on your PC/Mac and connecting the device to your computer through the use of the white USB cable (either was included along with the product or can be purchased separately). Before you begin pressing the appropriate buttons to access the option to erase all personal data from your iPad, you must first turn it on. Press the “Home” button to power your iPad on. Now, you’re ready to go! While wiping your iPad clean of personal info may not take long, it’s best to ensure that the device has a good charge. Examine the battery symbol upon powering your iPad on. If it’s low, or in the red, then plug in the charger immediately. This is to prevent the device from automatically shutting down while in the process of erasing personal data. At the main screen, press the “Settings” icon. This will lead you to a column-style list of options which is located on the left-hand side of the screen. Tap the “General” tab within the list. At the very bottom of the screen, there will be a “Reset” tab. Press that, and then “Erase All Content and Settings.” Two prompts will follow, asking you twice if you’re sure that you want to erase everything. Press “yes” to each prompt. The apple logo will appear, along with a progress meter. Leave the iPad alone so it can do its thing. The first thing that most people notice about others is their face. A person’s face is a major representation of their beauty. Unfortunately, human skin is prone to contracting large disturbances. Annoyances and irritants, if you will. Some examples are pimples, warts, and herpes. Joining the band is acne. There are a handful of causes of acne. Acne commonly occurs in teens, due to puberty. Stress can also give rise to acne marks. Some may not think or believe this, but genetics may play a part in acne production. 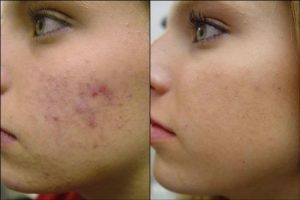 Regardless of these factors, there are ways to get rid of acne marks. Possibly the easiest, fastest, and most effective weapon against acne marks. You can choose to either see a dermatologist for a prescription drug or purchase over-the-counter acne medication. There’s a variety to choose from. If one doesn’t work, then try a different acne medication. You have nothing to lose but time. The quicker you attempt to solve the problem, the easier the problem will go away. Use mediciation as per the directions on the label. Lemon Juice is scientifically considered to be an antibacterial agent. Make sure that the affected area is clean and dry. Carefully cover acne marks completely with some fresh lemon juice and let it settle for 15 minutes. You can use a cotton swab or cotton ball if you wish. Rinse off gently once 15 minutes is up. Lemon juice will gradually tear down acne marks. However, it will also make your skin more sensitive to the sun. Apply sunscreen on the acne marks if you plan on going out after the lemon juice session. Repeat this process as needed. Cucumber juice works just as well as lemon juice. As with the lemon juice method, ensure that acne marks are clean and dry before doing anything further. Make cucumber juice by using a blender or juicer. Take a q-tip or cotton ball and dip into the juice. Apply to acne marks gently and let it settle for 15 minutes. Rinse off carefully once 15 minutes is up. Do this twice daily. Repeat the cucumber juice process for as long as acne marks persist. Remember that it’s not the end of the world if you get acne marks. For teens, it’s natural. For others, it’s genetic. Nonetheless, the tips listed above will help you get rid of acne marks in no time.